GR: This is an urgent message that everyone should receive: We must act to stop the global deterioration and loss of forests, shrublands, grasslands, soil, and wildlife. Human activities–plowing the land, cutting the forests, grazing the grassland, warming the air, and exposing soil to wind and water erosion–are destroying our planetary life-sustaining ecosystems. Over the 40-year period to 2012, more than half the animals on Earth disappeared. Unless we make an immediate and powerful response, vegetation and soil losses will continue until they strip the planet’s surface bare. Without soil, much of the Earth will become as lifeless as the moon. Barren and silent but for whispering wind, pockets of weeds, clouds of wildfire smoke, and the distant cries of a few remaining animals. Bessie Parker farm, Leon, Iowa. The erosion in these fields has reduced the value of the farm to the point where all but 40 acres have been taken over for taxes. Erosion has not stopped. 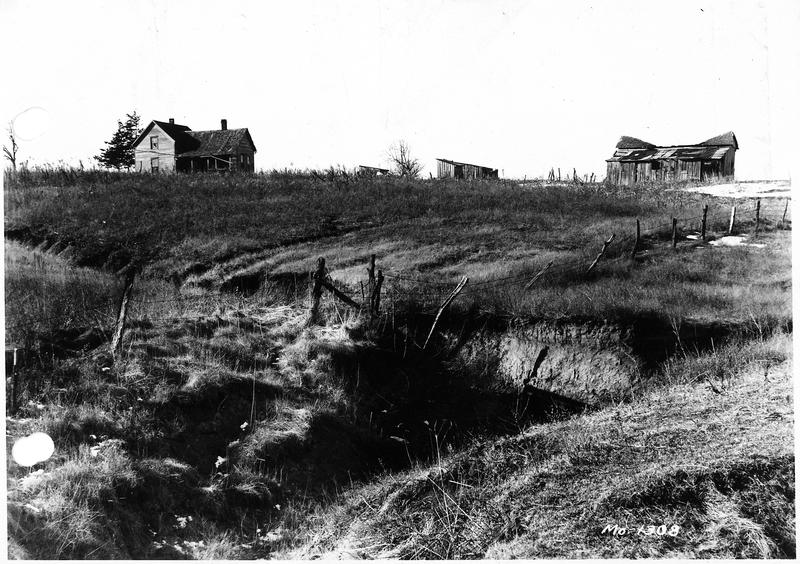 Cattle grazing and sporadic hay mowing will continue to expose soil (photo: public domain, U. S. National Archives). Without soil, there will be no farms, freshwater will runoff to the sea, vegetation will disappear, and wildlife will die (photo © Kelly Sillaste / Getty Images / WWF). GR–Ode to concerned scientists: They see the danger, they blow the horns and clang the bells, and they wait. But the ramparts remain empty. They turn to their family and friends, but dreamlike their voices are too soft and none respond. “Fifteen thousand scientists have issued a dire warning to humanity about impending collapse but virtually no-one takes notice. Ultimately, our global systems, which are designed for perpetual growth, need to be fundamentally restructured to avoid the worst-case outcome. “This second warning contains a series of charts showing how utterly the world’s leaders ignored what they were told twenty-five years earlier. Whether it’s CO2 emissions, temperature change, ocean dead zones, freshwater resources, vertebrate species, or total forest cover, the grim charts virtually all point in the same dismal direction, indicating continued momentum toward doomsday. The chart for marine catch shows something even scarier: in 1996, the catch peaked at 130 million tonnes and in spite of massively increased industrial fishing, it’s been declining ever since—a harbinger of the kind of overshoot that unsustainable exploitation threatens across the board.” –Jeremy Lent (What Will It Really Take to Avoid Collapse?). How Many of You Switched to Renewable Energy? In recent posts, I described the warnings of impending disaster. I didn’t expect to have an impact, and I wasn’t wrong. As Jeremy Lint points out in the article above, the media avoidance of unappetizing topics is too complete. And of course, our leaders in power avoid the subject in their subservience to wealth. My first hint that good advice for avoiding collapse would be futile was the minimal response to my discovery of the simple and inexpensive means for everyone to switch their homes from fossil fuel energy to renewable energy. Like Pangloss, I’ve remained hopeful. But I read that book, and now I’ve turned to a more practical concern; the post-anthropocene survivors, the weeds, have absorbed my attention. Today’s weed is Shepherdspurse, a foreign but familiar little mustard that feeds butterflies and yields medicines for us humans. GR: Like an empty deck chair bumping in the wind, I’ve repeated this warning over and over. I’ve tried to find new ways to phrase it, new associations to tie it to, and more reasons that we must search for a solution. I’ve tried to stir anger at inequities, greed, and the corruption of public servants. Great writers, speakers, and leaders have tried as well. And yet the river carrying our little canoe continues on toward the growing rumble of a great falls. The rumble is beyond the blaring horns and sussurating tires on pavement that surrounds us, but if you listen for the calls of birds and crickets you may hear it in the empty spaces they no longer fill. “The living biosphere, is infested with humans. Not just any humans, but the type that grow fat and reproduce exponentially by liquidating natural ecosystems. The population bomb has burst and we are seeing daily the predicted consequences of collapse and death in the climate, water, oceans, and on the land. Having spent much of my life working to protect Earth’s last naturally evolved primary forests from logging for inequitable over-consumption, I am today ready to declare defeat. Preserving Earth’s last large old-growth forests is a lost cause as there are simply too many people. 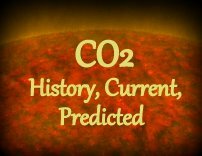 This Time of Great Dying is unlikely to end well unless a global ecology ethic – including a sense of ENOUGHNESS, just population reductions, ending fossil fuels, and massive ecological restoration – is widely embraced with all haste in an unprecedented and overdue Great Awakening. “In 90 years – a blink of an eye in ecological and geological time – the human population has gone from two billion to over seven billion. Another one billion people are added every 12-15 years, such exponential growth in human population can only end in collapse. Of these, a billion extravagantly over-consume (including a few hundred individuals who have amassed half of Earth’s wealth) as another billion live in abject poverty on less than $1.50 a day. “Concurrently capitalism has manufactured all types of artificial needs for consumption to which the vast majority aspire, and which can never be universalized at current population densities. Thus globally devastating inequity is assured. Each of these manufactured desires is fulfilled through apocalyptic polluting of the atmosphere and liquidating of natural ecosystems that have evolved over eons and make Earth habitable. “Over-populated, inequitable over-consumption literally dismembers Gaia – the living Earth – to gorge upon her ill-gotten limbs. 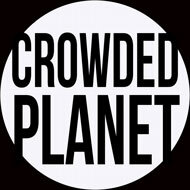 “As long anticipated, the population bomb has burst, and we are witnessing the impact upon the natural world. 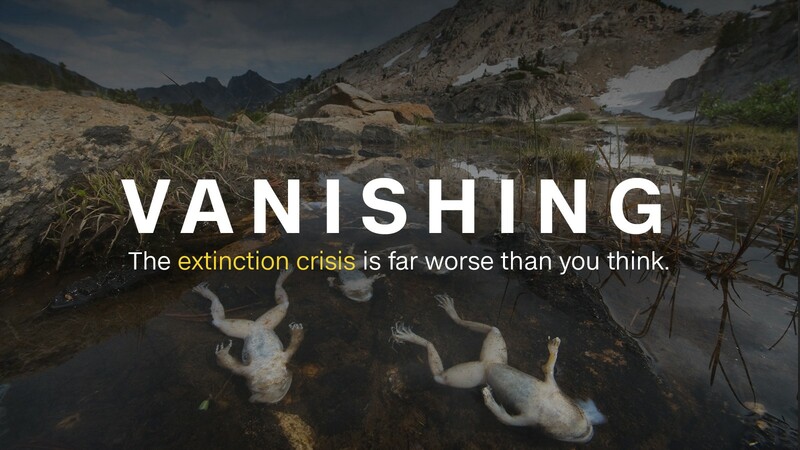 The result of such democratic consumption has been our current Time of Great Dying – an epic cataclysm of death and destruction rained down by humanity upon all non-human life and their assemblages into natural wildlife populations, plant communities, ecosystems, and landscapes. Humans, after all, are animals too. It is not normal for populations of an organism to grow so rapidly, or for an organism to so quickly destroy its own habitat. When this does occur in nature, the result is always mass death and system collapse. “Everywhere a trained eye looks, one can see the tawdry, traumatized remains of much diminished organic biological life upon an immense ecocidal battlefield. Oceans are plagued by overfishing and dead-zones, the climate is failing before our very eyes, wetlands and soils are much diminished, natural sources of water are increasingly scarce, wildlife has been decimated in a reign of terror, and natural terrestrial ecosystems have virtually disappeared. And the murder of remnant bits of nature that still exist continues unabated. Here’s an interesting post about ending our population growth.